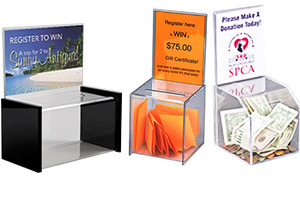 These Clear Acrylic Boxes Securely Collect Donations For Charities & Fundraising Events! Acrylic ballot boxes, also called plastic ballot boxes or acrylic donation boxes, are excellent lead generators for any business. Small to large acrylic donation boxes are available with and without colorful screen imprinting. Buy one of our locking ballot boxes to secure your leads, money collections, tips and charity donations. Clear ballot boxes are also known as coin collection boxes, charity donation and collection boxes, donation boxes and fundraising boxes. Locking boxes are a secure way to collect money, tips, donations and raffles for charity and fundraising events. Locks on these ballot boxes are in the back and include lock & key. 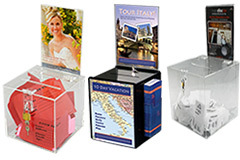 These acrylic ballot boxes or acrylic donation boxes accommodate medium to large countertops. Money Collection Box. Clear acrylic boxes are great for collecting tips at restaurants and car washes. Contest Entry Box: Collect lots contest entry and registration forms with names, addresses and emails for lead generation from these clear acrylic contest boxes, sometimes referred to as acrylic ballot boxes. Charity and Donation Collection Boxes: Perfect for collecting money at charities and fundraising events. These are also called charity collection boxes, charity boxes, fundraising boxes or donation boxes. An acrylic ballot box is a great way to generate leads and get your business moving in the right direction. 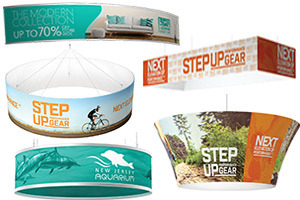 Placement of these large acrylic boxes in a public area that catches potential customers' eyes is critical. 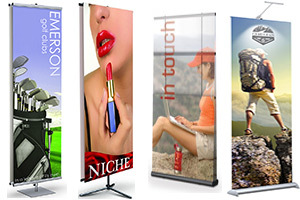 It is very important to display your promotions or ads in a way that grabs attention and brings them in to take a closer look. 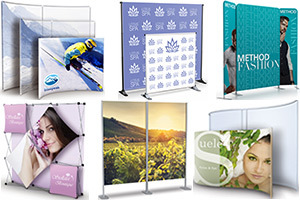 For example, if you own a night dance club, you can place your contest entry box in various areas of your club with an promotion like "Sign Up For Our Mailing List for FREE ADMISSION & DRINK Coupons". This is a excellent way to gather names and addresses to send event post cards to people you know are night club goers. 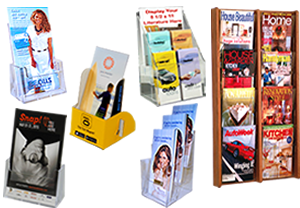 Small or large acrylic boxes can also make great lead boxes or lead generation boxes for health club signees. If you own a health club, promote a free week of membership. Go to businesses in the immediate area and exchange a free week with a personal trainer to business owners for placement of your entry box or locking acrylic box in their businesses. No ballot box would be useful without the use of low cost or cheap entry forms for your convenience. Both generic and custom forms are available. So buy your clear acrylic ballot boxes or acrylic donation boxes with contest entry form pads today. View our cheaper cardboard ballot boxes if you need more economical cardboard contest box alternatives.